Philmont Scout Ranch provides an unforgettable adventure along its hundreds of miles of rugged, rocky trails. Program features combine the best of the Old West—horseback riding, burro packing, gold panning, chuck wagon dinners, and interpretive history with exciting challenges for today — rock climbing, burro racing, mountain biking, and rifle shooting — in an unbeatable recipe for fast-moving outdoor fun. Registration for the 2019 trek is closed and the next Monmouth Council Contingent will be scheduled for 2022. Philmont Scout Ranch provides a once in a lifetime adventure along its hundreds of miles of rugged, rocky trails, valleys, rivers and its breathtaking protected natural beauty. Highlights of the program combine the best of the Old West- horseback riding, burro packing, gold panning, chuck wagon dinners, and interpretive history- with exciting challenges for today- rock climbing, burro racing, mountain biking, and rifle shooting- in a unique and action packed journey that will create memories and friendships that last lifetime. The adventure also includes action packed activities such as a trip to Royal Gorge, Garden of the Gods, an and unforgettable visit of the Koshare Indian Kiva. 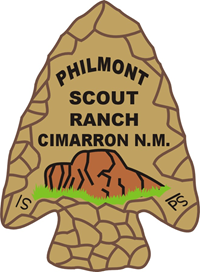 Due to the fires at UTE Park in northern New Mexico the June 2018 Monmouth Council Contingent Trip to Philmont was rescheduled for 2019 and registration has closed. We have filled a total of 58 participants and welcome back many of the participants that already registered for 2018. Contingent spots are first come, first serve basis, based on submitting the registration application and deposit at Monmouth Council Headquarters. We have a full contingent and any new participants will be placed on a wait list. Each crew will have a maximum of 12 participants with a minimum of 2 advisors. The trip will take place from July 5, 2019 – July 19, 2019. 2019 Philmont participants must be 14 years of age OR completed 8th Grade and be at least 13 years of age prior to participation. Scout leaders 18 through 20 years old are eligible to participate as youth or adult leaders and all need to be registered with BSA. Boy Scouts must achieve the First Class rank prior to departure. Age, physical ability, maturity, attitude, and your Scoutmaster’s or Crew Advisor’s recommendation will all be used to determine who goes to Philmont. Since camping and hiking at Philmont is a rugged experience, all participants must pass a physical exam given by their family physician. The requirement for a physical also applies to contingent and crew activities starting in September. 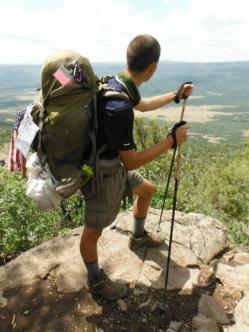 The projected cost for the 15 day Philmont trip is $2,350 per scout or advisor. Each crew will be encouraged to hold fund raising activities to lower the cost of the trip. The cost for the 15 day trip includes transportation, meals, lodging, sightseeing, the Philmont Scout Ranch fee and all the adventure Philmont has to offer. Note to Adult Advisors: Adults who submit the online registration and need to complete the Philmont 2018 Leader Application. Adult placement is based on leadership and physical qualifications and not guarenteed. Be that Scout at Philmont! Photo Courtesy of Troop 434.